If you think walleye fishing is just dragging a jig and a minnow, you're sorely mistaken, my friend. From trolling cranks to longlining live bait rigs on precise micro-structures, the techniques used by dedicated eye-chasers have rapidly expanded in recent years. 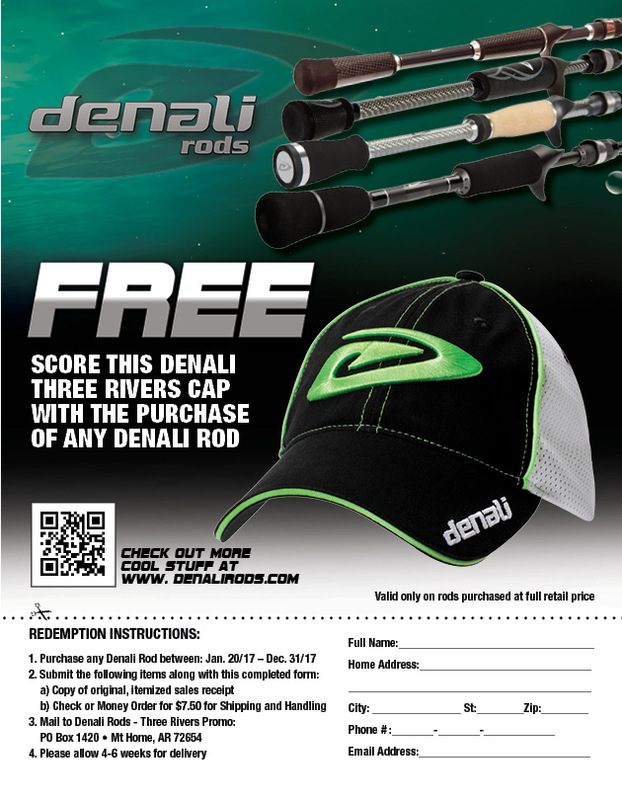 At Denali rods, we thought it was high time that someone created a quality rod series offering the ideal rod for any technique, no matter where you wet your line. The all-new Myriad series of dedicated walleye rods does just that, and more. We spent countless hours picking the brains of some of the top walleye anglers in the business. Then our engineers got to work designing 10 ultra-sensitive spinning and baitcasting rods to cover all the bases. Whether you find your peace pulling boards for Great Lakes giants, vertical jigging in heavy current, or casting slip floats to flooded timber, the Myriad series has a rod for you. The Myriad series features all the cutting edge technologies anglers have come to love in our bass rods, including split grips, super sensitive high-modulus graphite, and aggressive styling — with a budget friendly price point that will leave you some change left for the taxidermist's bill. Old marble-eye doesn't know what he's got coming. We offer all 10 models of the Denali Myriad Series Rods, see specifications below.